InkedFingers | Fine Art, Commercial and Lifestyle Photography: Grey & Saffron | Why Not Go Out on a Limb? Grey & Saffron | Why Not Go Out on a Limb? What better color than saffron to ward off the doldrums of the muted tones of winter?! Inspired by the street we just moved on "Saffron"
into the reddish-yellow dye/spice that is one of the most expensive in the world! predominantly in Mediterranean cuisine! How exquisite! 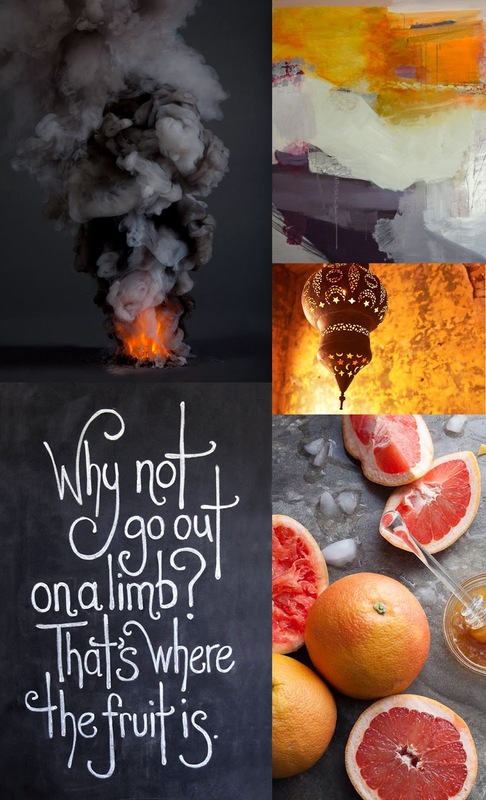 Let us use this inspiration board as a reminder to reach beyond our comfort zone. Take one step closer to the heat of the fire!